Those who want a university experience like no other and have the desire to stand out from the crowd need look no further than UofL. A lot of new International Students wonder what the city of Louisville is like. From a low cost of living to a vibrant arts and culture scene, Louisville is a charming and welcoming city on the move. 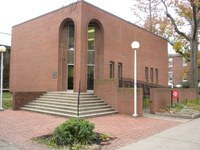 The ISSS Office serves as an administrative, advising, and programming unit for all international students and scholars at the University of Louisville. Come find out how we can help you make your stay in the U.S. a great experience. UofL has over 400 registered student organizations and many are aimed at enhancing the experience of International Students on campus. Check out how you can get involved today.